This solidly designed yet sleek cable crossover carries all the hallmarks of the SelectEDGE family: contemporary style and simple functionality. With the release of a pop pin, set the pulley assemblies at one of 23 heights (from 11″ to 77″) in 3-inch increments. 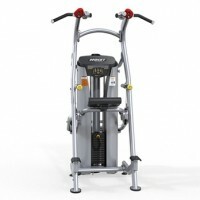 Grab the supplied nylon web handles and do sizzling chest and arm work. 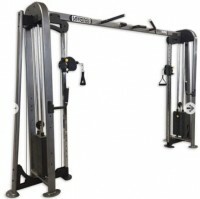 Or, use just one pulley along with one of two grab handles to do any number of upper body exercises. Ankle straps and rope handles (sold separately) add even more possibilities. Body weight workouts are supplied via three different pull-up grips. There’s wide grips for more lat involvement, close grips for more bicep and pec involvement, and neutral grips for a variation on range of motion and engaged muscles. Mandrel-bent ovalized tubing provides the sleek looks that today’s club environments demand, and aviation-grade cables with PowerMax pulleys make sure the action is smooth and durable. 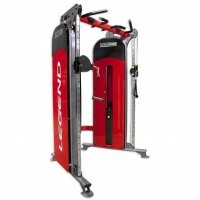 Standard weight stacks are 200 lbs in ten-pound increments, but they can be upgraded to 250 lbs or 300 lbs. 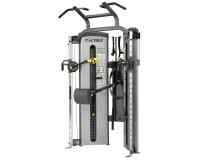 The SelectEDGE Cable Crossover Plus is a fully adjustable cable crossover along with a seated row station and a lat pulldown station. 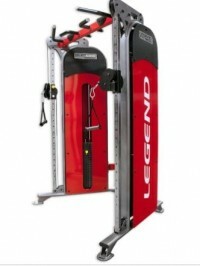 The ultimate in versatility from the premium SelectEDGE line, this functional trainer features the style and functionality that modern fitness facilities demand. The sleek design is indicative of our advanced SelectEDGE line, but this device is more than just a pretty face. Aviation-grade sheathed cables glide across PowerMax pulleys with shielded bearings.